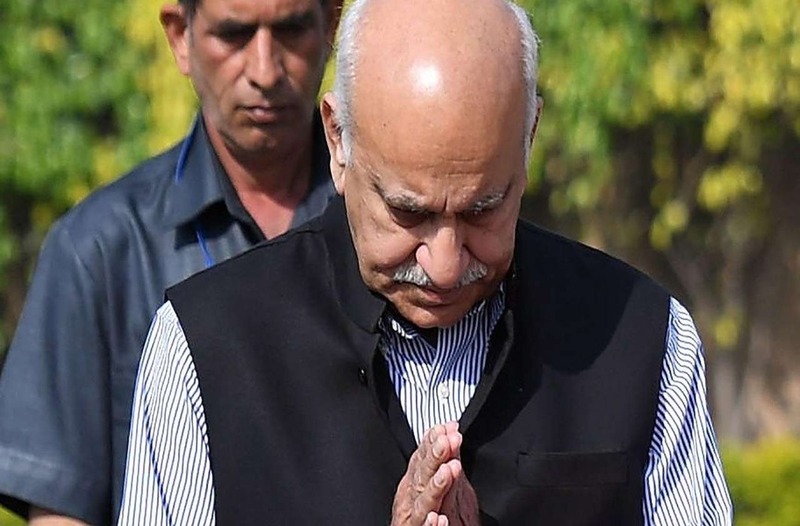 Editor-turned-politician MJ Akbar recorded his testimony before the Patiala House Court, on Wednesday (October 31), in the criminal defamation case he has filed against journalist Priya Ramani who has accused him of being a sexual predator. Ramani’s allegations which triggered a slew of similar charges being leveled against Akbar by at least 30 other women journalists who had worked with him in various publications over the past three decades had led to his resignation from the Union council of ministers earlier this month. Akbar had slapped the defamation case against Ramani while rejecting all allegations leveled by her as baseless and driven by a political agenda. During the last date of hearing in the case, the court had directed Akbar to record his testimony on October 31. Asserting that he had, over the past three decades, “acquired a good reputation both as a writer and an editor”, the former journalist told the court that Ramani herself had admitted that he “didn’t do anything (implying that he was not involved in any incident of sexual harassment against the respondent)” but called him a “talented sexual predator” nevertheless. Following recording of Akbar’s statement, the court fixed November 12 as the next date of hearing when witnesses listed by him will record their testimonies.